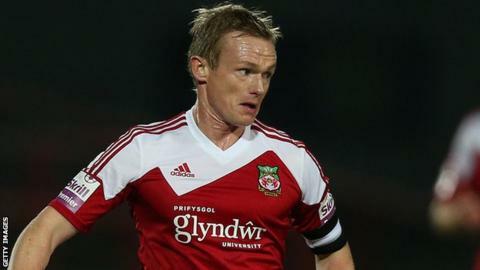 Wrexham captain Dean Keates has been offered a new contract by the Conference Premier club. Theo Bailey-Jones has also been offered a new deal while Anthony Stephens has verbally agreed a new contract. Jay Colbeck and Kyle Parle and veteran defender Stephen Wright have been released by the Dragons. However former Liverpool player Wright, 34, will return for pre-season training in a bid to prove he deserves a new deal. Manager Kevin Wilkin is yet to see midfielder Joe Clarke, striker Rob Ogleby and goalkeeper Joslain Mayebi. Wilkin had already confirmed the release of David Artell and Joe Anyinsah with Johnny Hunt, Mark Carrington, Danny Livesey, Andy Coughlin, Nick Rushton and Jonathan Royle offered new deals. Keates, 35, made 29 appearances for Wrexham during the season but missed the opening two months of the campaign after having a toe operation. The former Walsall and Peterborough United midfielder's current one-year deal expires this summer. "Hopefully we can get something thrashed out and agreed between the pair of us and move forward," Wilkin said. "I know Dean's 35 years old, he had an injury at pre-season last year and his season's been stop-start but what he has got is that understanding of the game and where to be. "His positional sense is very good, he's got a good range of passing is very competitive and a good leader on and off the pitch. "There's a lot of positives that Dean brings to what I want to try and do at Wrexham football club."